This one dessert gulab jamun is always so satisfying whether hot or cold. Again its one of the super hit festive dessert that is done at every home. It will sound even easier if you buy a ready-made gulab jamun mix. But, the real fact is that making your very own gulab jamun at home is always a pleasure. 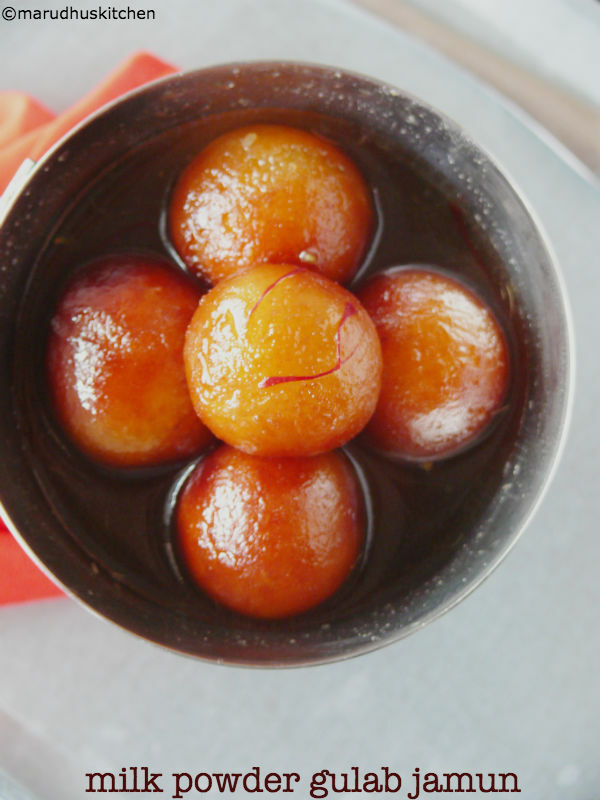 Especially this gulab jamun can be made as a ready mix at home itself and can be kept. Whenever you are in need to do you can make it in no time and that’s it. 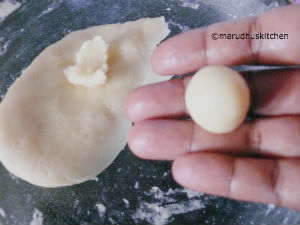 I have not added any cream for the jamun while making the dough but you can try adding it. Don’t ever fry at high flame as we are using milk powder it will burn easily and insides will be raw. 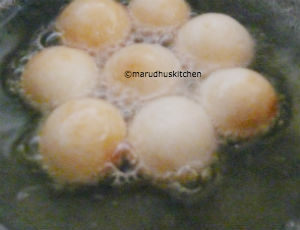 To make gulab jamun with dry milk powder can use skimmed milk powder if preferred. Sugar syrup should be thin sticky syrup with no sugar consistencies. It’s very easy to do dessert that you should never miss to try it once.Please check my another version of gulab jamun with khoya here in my space. 1.First lets make syrup,take a pan with water and sugar and let it boil. 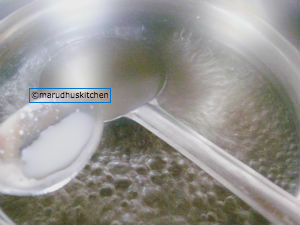 2.After sugar dissolves filter for impurities(add few drops of milk so that dusts come out). 3.Then bring back to boil let it simmer for 6-7 minutes till sticky and no thread stage. 4.While boiling itself add the saffron strands. 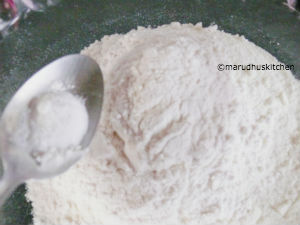 5.After switching off add cardamom powder. 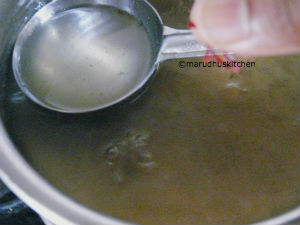 6.The sugar syrup should be with heat(warm)while we add jamuns. 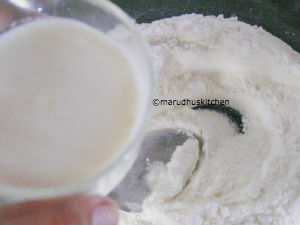 7.Now make dough by adding milk powder in a mixing bowl. 8.Add maida and baking soda and mix well. 9.Now add milk little at a time and form a soft dough(the dough will be sticky but you can smear with little oil and knead for some seconds and keep). 11.Now bring oil to heat up in a kadai. 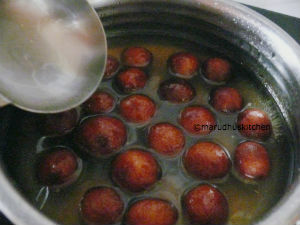 12.When it fully heats up lower the flame and drop in the jamun to fry golden. 13.Fry in low flame only so that insides also cooks well. 14.Take out in a tissue for a second and immediately transfer to the syrup. 15.Repeat the process till done,let the jamuns be soaked well in syrup so that it absorbs all the syrup well.